"...Kamala Cesar, rated the foremost living exponent of Bharata Natyam, the 2,000-year-old dance art of South India's courts and temples." - The Post and Courier staff [Charleston] See link to article on Thomas Buckner at bottom. DC: So what have you got to say about your memories of Zen Center and Suzuki Roshi and all that? KB: What would you like to hear? DC: Just what you want to say. KB: I thought you were just collecting stories about Suzuki. DC: Yeah, but I like to get whatever people have to say - a little background on them. KB: Well, I first went to the San Francisco Zen Center when it was over at the synagogue [Sokoji on Bush Street in SF]. I was in the Floating Lotus Magic Opera Company at the time which was headed by Daniel Moore who had been involved with Zen Center. I believe he was married at the ZC. KB: He'd been telling stories about Suzuki Roshi and I became interested and one day .we went over to check out one of the lectures but that day it was closed because it was a four and nine day. But then we went back and heard him speak. It was very moving. Daniel had showed me how to sit zazen and so I'd experimented with sitting. And then I started going regularly. It was in 69 but I didn't start regular sitting till 70 at Page Street. And that's where I first met Suzuki. I called and asked if I could see him and he agreed and I met him in that little office on the first floor. I'd been reading the Tibetan book of the dead and that's what we talked about. We talked about death … and dying. One of the things that I've never forgotten that he said to me that day was when you're dealing with death and someone dying, the closer the person is to you, the closer you'll come to understanding your own death. At that time my father was very old and I knew he was going to die soon. I was very concerned about that. It was very powerful. And then I moved into the Berkeley Zendo and was sitting regularly there. I did a one day sitting at Berkeley and Suzuki came there sometimes to speak to the group there. I saw him again in a formal private meeting, dokusan, in his apartment upstairs. I had very long hair. I was dressed like a hippie. I had all those flamboyant outfits and he said to me, "Why don't you cut your hair?" And I said, "Well, if you have a pair of scissors and you want to cut my hair, go ahead and cut it. He looked around and said, "Oh, I don't have a pair of scissors so when you go back home, tell your friends that I cut your hair." He was really very friendly on that visit. Then I sat a sesshin in San Francisco where Suzuki sat with us. And then during the sesshin I met with him. It was interesting because he talked about my dancing. At that time I was also studying Indian dance. And he told me that the person that I was studying with would help me very much in my life. And he also said something that was really kind of strange, which is that it doesn't matter whether you're a dancer or a housewife - as long as you're practicing, it doesn't make any difference what you do. DC: Why is that strange? KB: For someone who's involved with something like dancing, music, or the arts, it's hard to conceive of doing anything else. And I always think about that. I think, well I know I could do something else but why would I do anything else if this is what I can do? Not everyone can dance. Not everyone can sing. I feel an obligation to do this because I can do it. But now that I'm not able to dance it's interesting to remember that. It's because of my ankle. I'm barely able to walk. There's no cartilage left in my right ankle joint. I really can't dance at all. I can barely put weight on that foot. So it's interesting thinking about that and I think about that a lot - whether you become a dancer or whether you become a housewife. As long as you understand what your practice is, it doesn't matter. And that's all I remember. Oh no, that's not all that I remember. One other thing. I sat that sesshin where he actually passed away but before then when he was really, really ill, I had called and asked if I could see him and somebody told me, "He'll see you but there are all these other students who also need to see him too." So I never did get to see him then but it was very weird because I went to this psychic. I forget her name now but a lot of Zen students went to see her. KB: Yes. Ann Armstrong. Did you know her? DC: Yep. Gosh, I really would like to interview her and Jim. KB: I went to her not very long after he passed away. I went to her because… I had become very serious about studying Indian dance. My teacher from India was coming to teach at Mills College that summer in '72 and I hadn't met her but I'd already decided that I wanted to study with her. I wrote to her in India and asked if I could come and study with her and she wrote back and said I'd have to come for three years and I decided to go and I was trying to find money to go. And then a society of Eastern arts brought her to teach us that year at Cal Arts and then she was going to come to Mills. So she was coming to California and I didn't have to go to India. So I went down to meet her at Cal Arts and tried to study with her there and it didn't work out but I met her and danced for her and she said I did her style. So I had planned on going to Mills when she went there. And then, I sprained my ankle. I was running with a dog and I twisted my ankle. That was the beginning of the problem I have with my ankle. I went to the emergency ward and they said to put an ace bandage on it and keep it up and it would be okay. But it evidently was worse than that and I kept off it as much as I could and it swelled up real bad so I couldn't dance that whole summer. I went to all the classes but I just had to watch. When I started dancing it wasn't yet healed and it made it worse. So I went to Ann Armstrong because I couldn't understand why this was happening to me - why did I sprain my ankle when this was the biggest thing in my life that was going to happen - me meeting Bala [Balasaraswati]. I sat in this room with her and she freaked out. She couldn't speak. She was completely out of it. And then she started saying that Suzuki was in the room. And she said, "I've never had this experience before." She said she saw pictures, seeing these things. She started crying and it was really intense. And she said, "Thank you Suzuki Roshi , thank you." Then she started talking about what she was seeing and it was really heavy. She started talking about me in terms of dancing. She said she saw these people surrounding me and they're dancers but they're like a family and they want to stay together. The reading was all about the dancing but she kept saying thank you to Suzuki. DC: Wow. Is that all you have to say about that? DC: Okay. How about a little background? When were you born. KB: In Brooklyn. My mother's Mohawk from the Akwesasne reservation which is on the border of Canada and New York. And my father's from the Philippines. DC: What was your religious background. KB: I was raised Catholic. DC: When you were in the city in the sixties, what did you do with Daniel Moore and the Floating Lotus Opera? KB: I was in the plays that they were performing around the Bay Area. It was pretty experimental theater. Many people came who had no real theater training but I think the attraction was that a lot of the people in the group were experimenting with meditation. We all did yoga together. We thought of ourselves like a commune. In the beginning when I first met them, they were all hanging out together at Daniel's place which was on the campus of that college up in the Berkeley Hills - Williams College. A number of people were renting spaces. The Blue Mountain Meditation Center was up there and there was an old guy who lived there and took care of the place. We'd go there and practice and chant and do yoga together and have meals together. That's when I became a vegetarian. That was '68. I'd just moved there from the East Coast. I had lived in NYC for a year before I came to California. I'd just finished my second year of college at NYU at the time. My roommate was someone who had been to Berkeley to a summer program and we went out and got a place together and I was going to finish school at Cal but I got distracted by the Floating Lotus. I'd applied to UC Santa Cruz but the Floating Lotus became my way of life for a year and a half and we did performances all over the place and when Daniel lost that space at Williams College because the land got sold and everyone had to move out and we didn't have a space and someone offered us land out in the country and we tried living out there for a while which didn't work. Finally we disbanded. That's when I moved into the Berkeley Zendo. And I started dancing at the same time. I was never interested in dance and I thought that what I wanted to do was study Zen because Suzuki Roshi had become such a powerful force in my life but when I met this dance teacher everything changed. I never wanted to be a dancer or a performer but when I started studying Indian dance it really felt like meditation to me. And then when I met her I had the same rapport with her and felt she had something to teach me. DC: Where did your life go from there to getting a dance studio in New York? KB: I started following Bala wherever she was, wherever she was teaching. She went up to the University of Washington in Seattle so I went there to study with her and she went back to Berkeley and the next year she came again to Berkeley. I was having a lot of trouble with my ankle and I couldn't figure what I was supposed to do. So I went back to school at Cal - UC Berkeley at the college of Natural Resources - and I finished my degree and during that time I found an ankle specialist who found that I had chips of cartilage in the joint. I guess it was from when I'd first injured my ankle. That was causing a lot of the irritation. I had surgery to fix that and it all went downhill from there. The doctor said that the ankle was going to deteriorate because of the injury but that there was no way I could really hurt it by dancing. So then I went to India for six months. That was in 1976. Then Bala came to Berkeley again. I ended up studying with her back and forth in India and the States. One year she went to Duke University so I went there that summer. I followed her all around till she died in 1984. By then I was living in New York. I'd come back from India in 1979 and I was there and didn't have any money and couldn't afford to go back to California so I stayed in New York and got a job and then I found out she was coming to Wesleyan in Connecticut so I didn't go to California to join her because she was coming East and so I stayed there and then I lived in Europe for eight months. Then I went back to India for a couple of months and she was very ill and she said she had always thought her school should be in New York City because that was the dance center of the whole world so I said I could help her start something. Originally it was the Balasaraswati School of Music and Dance, up until about ;89. Like the goddess Saraswati, the goddess of learning. And then Bala before that - Baby Saraswati. KB: Tom I met in the Floating Lotus. When I first started with the Floating Lotus, we used to have classes and Tom used to come give us voice lessons. We knew each other and were really good friends the whole time I was in Berkeley. His wife was into the same Indian dance I was in 1750 Arch Street and he did all these music series. That was the address of the house and the name of the group. We got married in '92 at Crestone Zen Mountain Center. Kamala Cesar (Bharata Natyam, South Indian Dance) was born in Brooklyn, New York and is Native American (Mohawk Tribe) and Filipino. She studied Bharata Natyam (the classical dance of South India) both in the United States and in India, under T. Balasaraswati, Bharata Natyam's legendary and foremost exponent, she is one of the few American disciples carrying on the style of T. Balasaraswati in this country. Ms. Cesar has participated in programs sponsored by the American Society for Eastern Arts, the Center for World Music, Asian Traditions, The American Dance Festival and Wesleyan University and in 1986, she was a recipient of the National Endowment for the Arts Folk Art Apprenticeship. In the years since she began her study of Bharata Natyam in the early seventies, Kamala Cesar has performed extensively in the United Stated, Europe and in India. She is the founder and Artistic Director of Lotus Music & Dance studios, a not-for-profit organization designed to support multicultural programs that further the understanding, appreciation and preservation of traditional arts and the creation of new works that evolve from traditional art forms. The above is from http://www.lotusarts.com/ - the website of Lotus Music and Dance. Thomas Buckner is a world renowned modern classical baritone who is known for his improvisation and unique vocal style. Read "Baritone Buckner follows a different drummer," one of many links pertaining to him on the web. If you have trouble with that link. 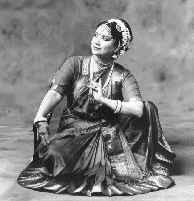 For more on Balasaraswati - "perhaps the greatest Indian dancer of the past thousand years,"